How Long Do Pansies Last? What Is Eating My Pansies Off? 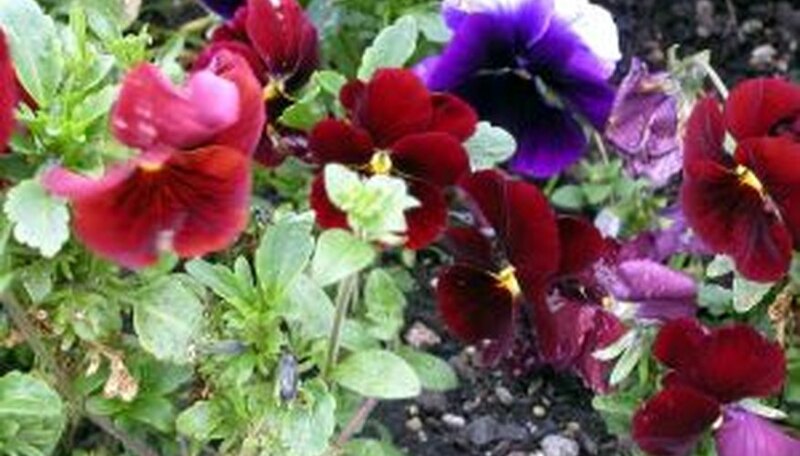 The small, colorful pansy plant is a delightful addition to the flower garden. This biennial plant is often referred to as a flower for all seasons because of its ability to adapt and bloom under a variety of conditions. In milder climates, this flower blooms outdoors year-round. Pansies are one of the oldest cultivated flowering plants around. Their exact origin cannot be pinpointed, but the crossbred variety with which we are familiar is identified with Buckinghamshire, England. Pansies gained popularity in North America in the late 1800s. Pansies have round blooms consisting of five petals that come in three basic color patterns: single, clear color; black lines radiating from the center; and a dark-centered "face." Leaves are oval or heart-shaped. The edible flowers of the pansy plant have a minty flavor. These flowers are used to make syrup; to flavor honey; to garnish green salads, punch bowls and sugar bowls; and as candied caked decorations and dye. Both the leaves and the flowers of the pansy plant are high in vitamins A and C.
The delicate, sweet fragrance of the pansy flower is most evident in the early morning and at dusk, with the yellow or blue pansy flowers emitting the strongest scent. "Pansy" comes from the French word "pensee," which means "thought." It was thus named because the flower, resembling a human face, seems to nod forward as if in deep thought. This usually happens in August. Look over each flower stalk for blooms that have faded or are beginning to fade. Look for seed heads that may have already formed. Using your thumb and forefinger, grasp the stem of the spent flower 1/4 inch above the nearest leaf set. Pinch off the flower head. Pinch back stems that are longer than the bulk of the plant. Pinch the stems directly above the leaf set nearest to the height to which you wish to prune the pansies. Prune the entire plant if it has become unkempt. Trim each stem to approximately 4 to 6 inches long using shears. Pinch 1/4 inch above the nearest leaf set to this height. Cut off spent blooms. Grasp the flower stem below the top set of leaves and snip of the flower and stem ¼ inch above the leaves. Cut off forming seed pods above the top set of leaves. Separate long stems from the main pansy mound. Cut off these longer stems ¼ inch above a leaf set closest to your desired height for the plant. Cut back the entire plant if it has grown out of control and become scraggly. Cut each stem back to approximately 4 inches long, always cutting just above one of the leaf sets on the stem. The name "pansy" actually originates from the French word, pensie. Pensie is defined as "meaning thought or remembrance." Pansies are actually edible blooms. The flowers are high in vitamins A and C. Pansies are used to make syrup, flavored honey and salads. Pansies are known for their fragrance. The yellow and blue blooms have the strongest scent. The fragrance can be most noticed in the mornings and during dusk. Pansies have three basic color patterns. One is a single color that is yellow or blue. Another pattern is a flower that has black lines that originate from its center. The third pattern has a dark center, which is known as its face. In the South and Southwest, pansies are grown during the winter season. In the North, pansies grow during the summertime. Pansies are easy-to-grow flowers that can be planted as bedding plants or are started from seeds. Most of the time time they are disease and insect free. Pansies prefer the cool, damp seasons of spring and late fall. However, with sufficient water and regular deadheading, these pretty plants will last through all but the hottest summers. Keep pansies watered until the first freeze. Damp soil will be less susceptible to buckling that can occur during freezing and thawing. Make a shelter for the pansies by covering them with some small tree branches, which will protect the them from dry winds.The branches of a Christmas tree are ideal. Don’t use so many branches that no light will get through to the pansies. Cover the branches with a thin layer of mulch, such as grass clippings or straw. The branches will keep the mulch from crushing the pansies, and both will help to keep the pansies dry. If the pansies are allowed to become waterlogged by rain or snow, it can kill them. The pansy is available in black, gold, orange, purple, red, white and yellow. Bi-color and tri-color varieties are also common. Growing between six and 12 inches tall, the pansy has medium-green stems and leaves. It produces flowers with broad, rounded petals that overlap considerably. Pansies are typically biennials, meaning that they possess a two-year lifespan. Foliage is grown the first year, and flowers are produced during the second. Despite being derived from native flowers of Europe and western Asia, the pansy is a "man-made" hybrid that does not occur naturally. Pansy extracts can be used to treat minor skin conditions effectively and, because they are entirely edible, are also used in salads and as culinary garnishments. The name of the pansy comes from a French word meaning "thought", as the flowers tend to look like faces that nod in contemplation in the summer months. Discourage aphid invasion by spraying plants with a mixture of 15 parts water to 1 part dish soap and 1 part rubbing alcohol. 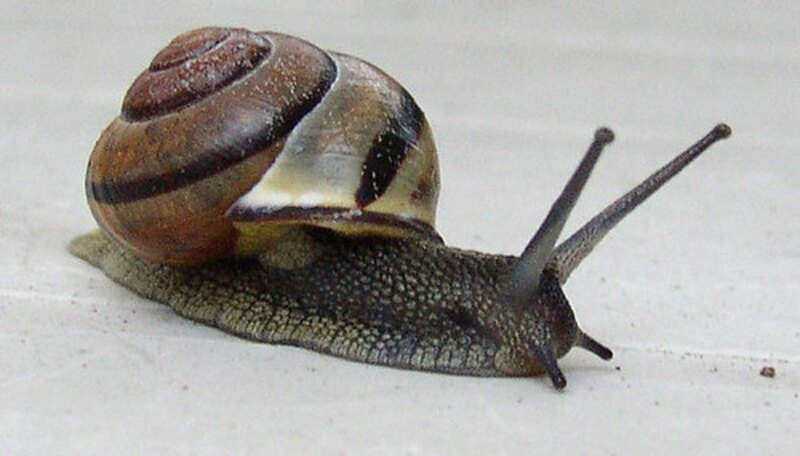 Discourage slugs by removing mulch, which promotes overly moist conditions. Sparrows may be discouraged by spraying plants with a mixture of water and ashes from cigarettes. Pansies are known for their five petals and round shape. They typically come in one of three color patterns: solid yellow or blue, a single color with black lines coming from the center, and a solid color with a dark center. Pansies naturally grow in the South and Southwest during the winter months and in the North during the summer months. Pansies are annuals, which need to be planted every year; they prefer to be planted in full sun. To encourage healthy soil, do not plant pansies in the same area more than three years in a row. Pansies are completely edible and are commonly added to foods as a garnish.